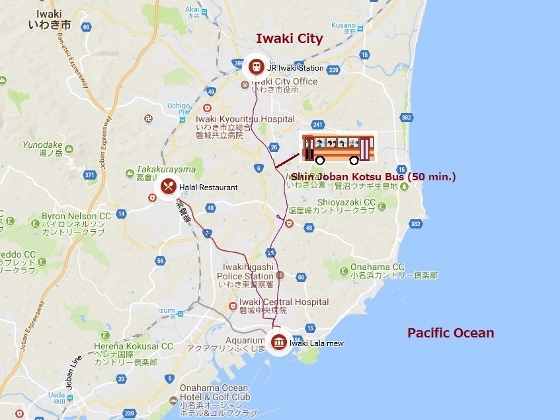 Today I participated in a group study tour of Omotenashi Guide Fukushima, which was a voluntary group of interpreter guides for Fukushima, and visited Iwaki City. It was a clear day with spectacular blue sky in Iwaki today, while other regions of Fukushima (Aizu and central area) were still chilly with snow and clouds. 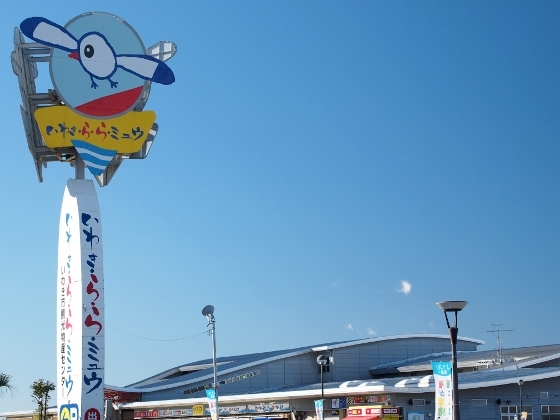 Photo above shows a sunny ocean view of Aquamarine Aquarium and Marine Bridge at Onahama Port. 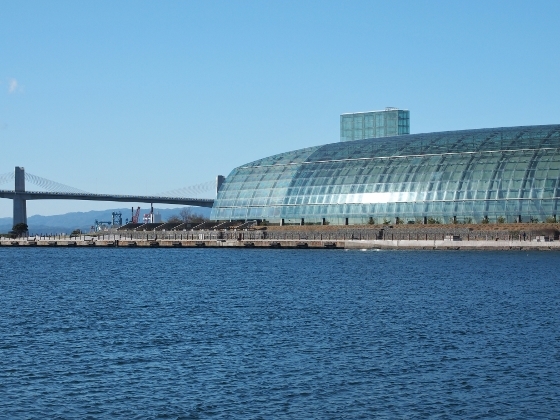 The ocean view was taken from Iwaki Lala mew as shown above, which was Iwaki City tourism and products center. 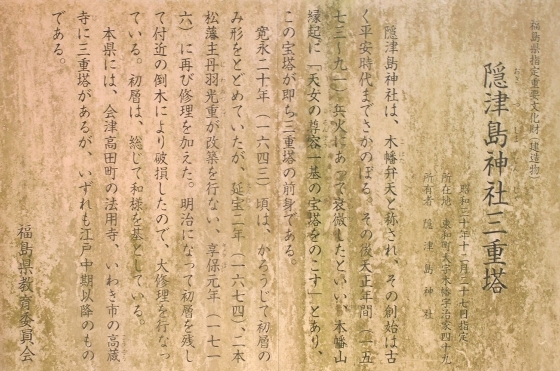 On the 2nd floor of the center, a large exhibition of traces Iwaki had experienced toward recovery and reconstruction of the region was being displayed. 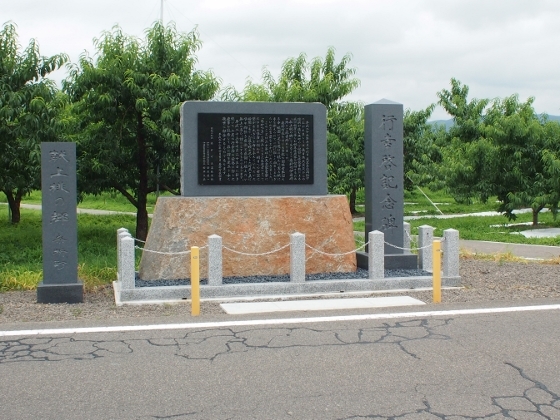 Anybody can visit and see the exhibits to learn the facts of the triple disaster of earthquake, tsunami, and nuclear plant accident and the recovery. 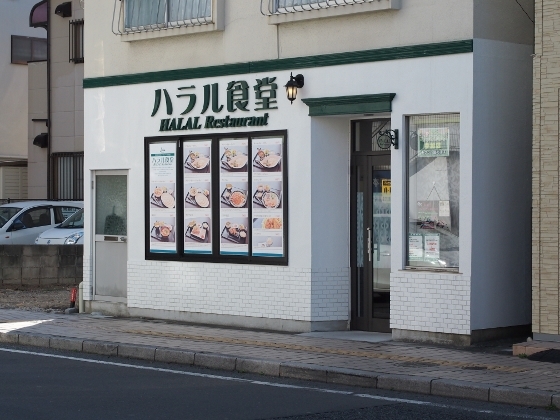 Then we visited a new Halal restaurant opened this year in Yumoto district of the city. 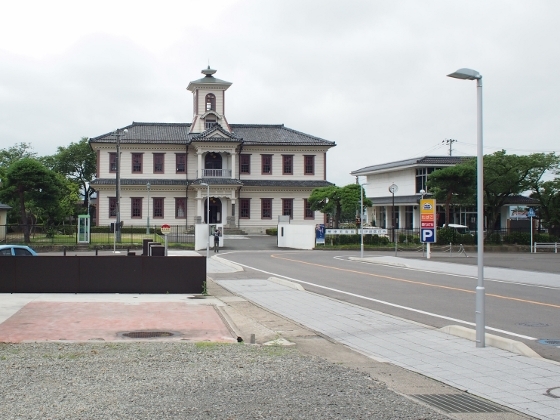 It was located 5-minute walk from Yumoto Station of JR Joban Line. The restaurant was certified by Halal Certification Committee that all items in the menu were qualified as Halal. We had curry dishes for lunch, which was extremely healthy and excellent in taste with reasonable price (\700-800). 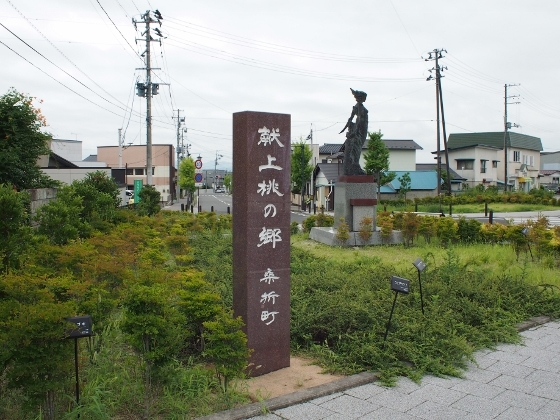 Today, I attended a wonderful tour through deep countryside of Towa district, Nihonmatsu City. 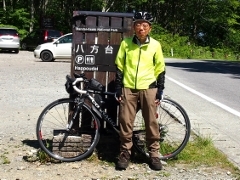 This study tour was promoted by Omotenashi Guide Fukushima, which was a group of interpreter guides for Fukushima Pref. 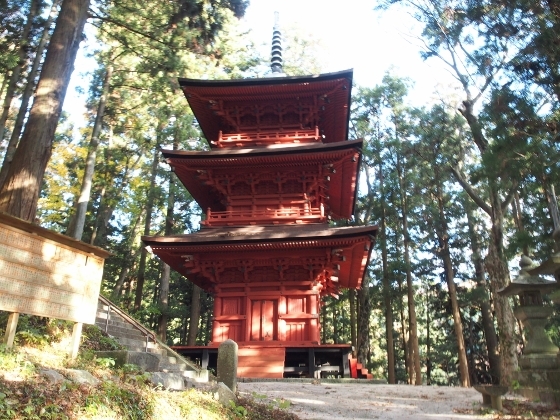 Photo above was a 3-story shrine tower which suddenly appeared on a mount Kohata trail about 540m above sea level. 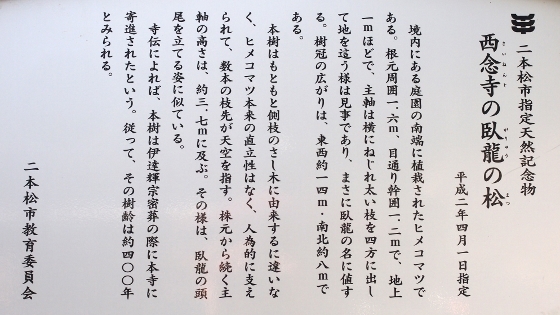 A history was described on a board above which said that the tower was already there in 16th century. It suffered fire and natural disaster since then, and was repaired every time, and today it remains as one of the only three of this kind of towers in Fukushima. There was a main building or “Honden” of Okitsushima Shrine as shown above just up the stairs from the tower. 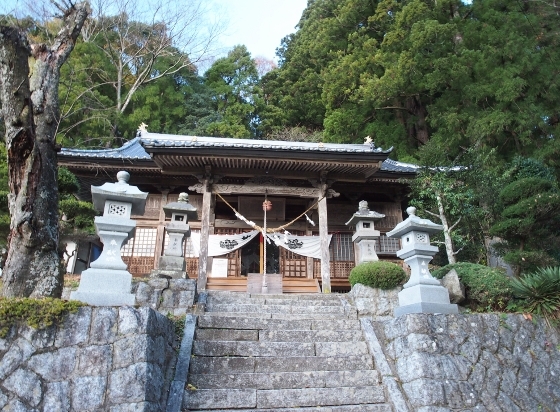 Also down the mountainside, there was a worship hall or “Haiden” of the shrine as shown above. These buildings were built in late 18th century and the details were explained on a board above. 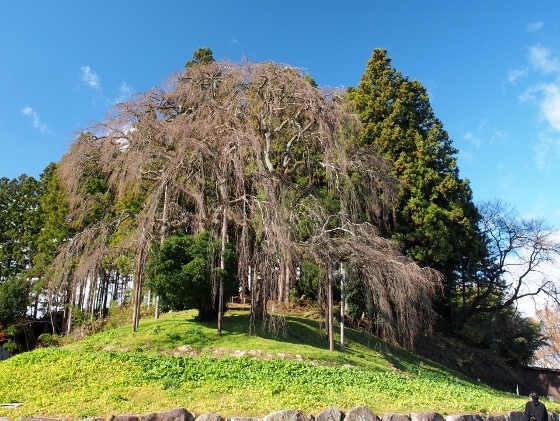 And near these structures, there was a gigantic Japanese cedar tree as shown above, which was designated as a national natural monument. 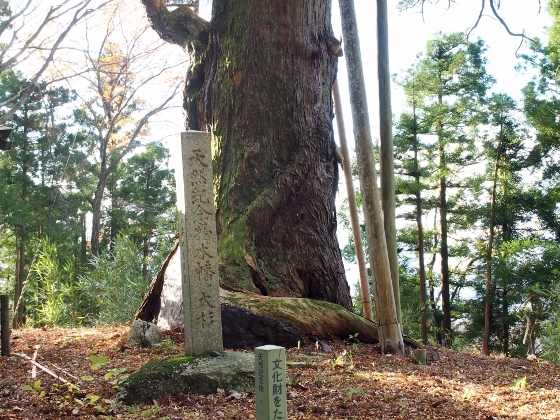 The tree is 700 years old and the circumference is 16 meters. There was a scenic viewpoint along the trail which overlooked northwestern plains with fall colors as shown above. 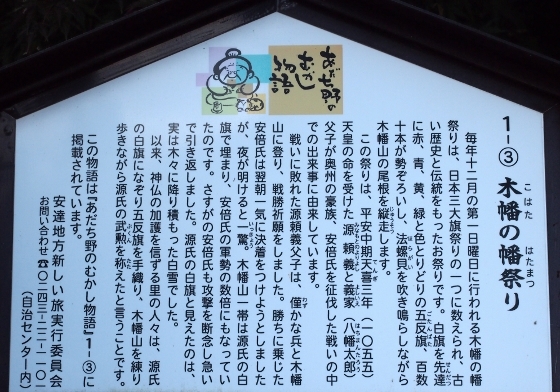 With all of these historic sites and scenery and a lot of uphill exercise, I believe this was a hidden attraction in Fukushima. 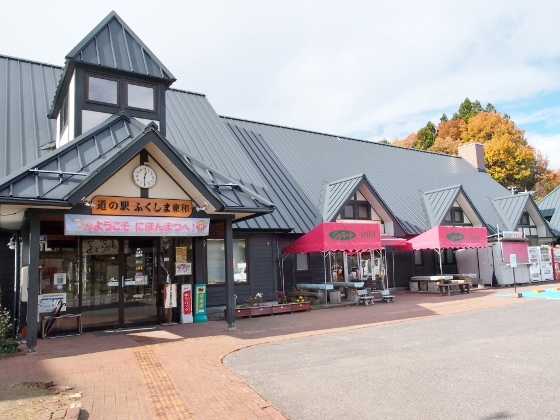 Towa district has some of the excellent local specialties. One of them was organic wine produced at local winery. The grapes are harvested at local organic vineyard. 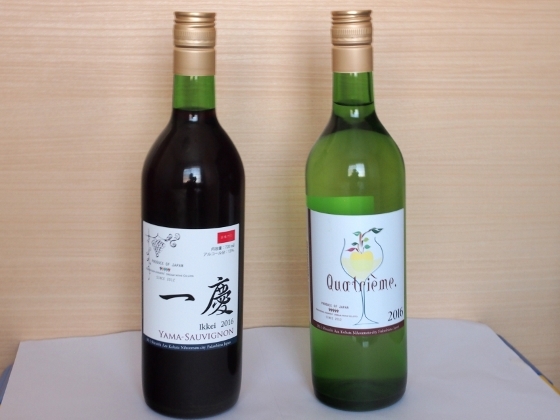 Photo above shows wine products from Fukushima Farmers’ Dream Wine Co. Both of them tasted healthy and excellent. Another specialty was locally produced natural honey products as shown above. 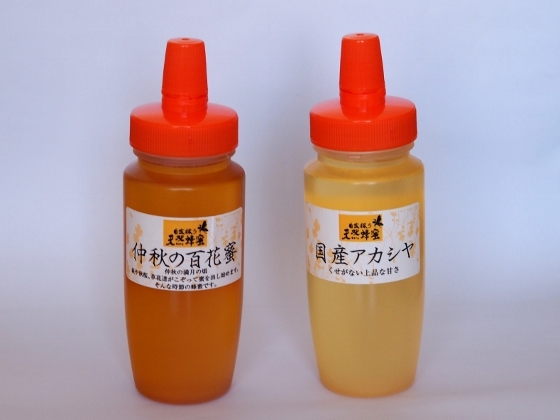 These are from Watanabe Apiary in Towa district. 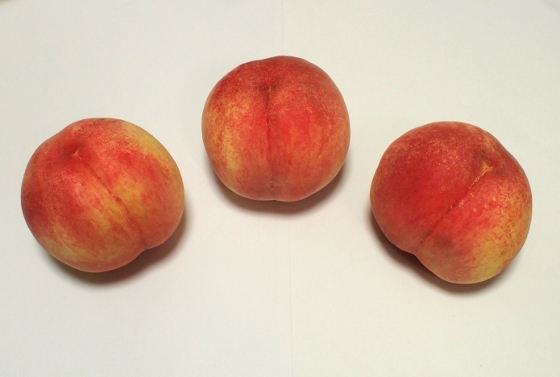 These tasted excellent and healthy. You can purchase one at either of roadside stations referred below. 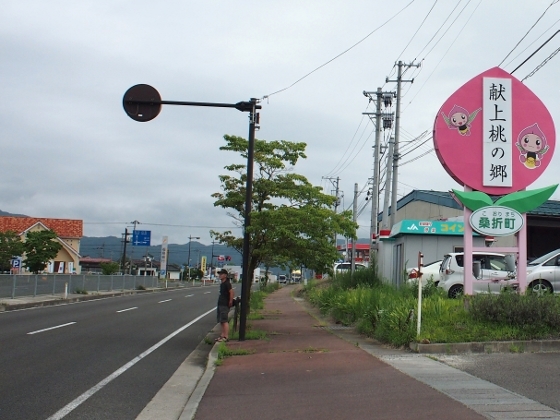 There were a couple of roadside stations or Michi-no-eki along the national route 349 in Towa district, one of which “Michi-no-eki Towa” was shown above. They serve delicious lunch prepared with local vegetables. One of them I had today at “Sakura-no-sato” roadside station was “kenchin-udon” bowl with plenty of local vegetables and delicious soup, which was extremely good and healthy. 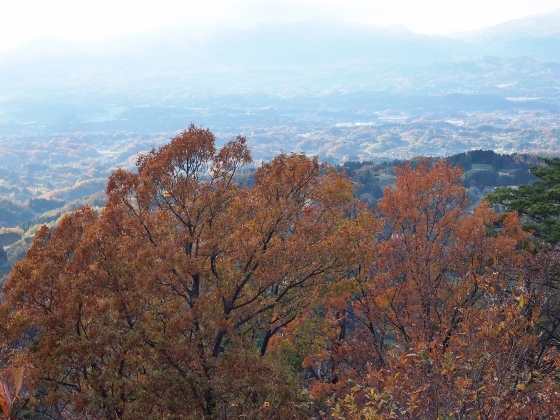 This time, it was high season for autumn colors in the district. In April, cherry blossoms are all over the area. 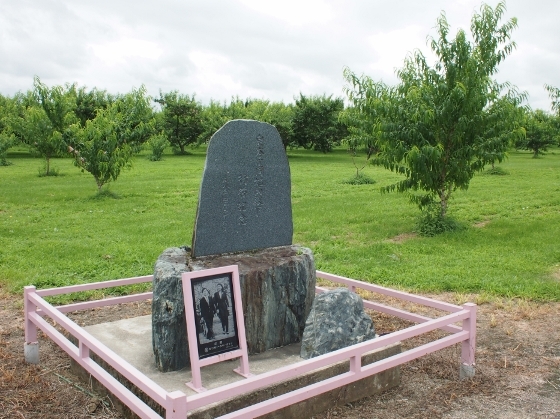 One of the famous weeping cherry trees is called “Kassenba-no shidarezakura”, or a couple of 150-year-old weeping cherry trees in the battle field, as shown above as of today. 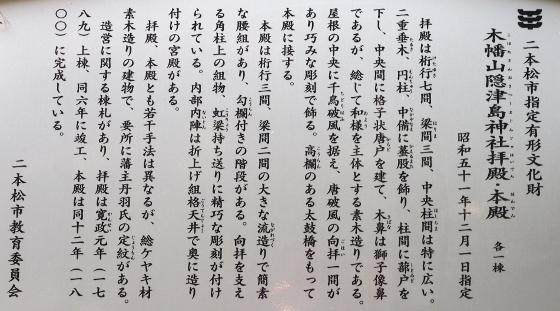 Local festivals are held including Abaredashi or wild floats Festival in October, or Kohata Flag Festival in early Decmber. (This year’s festival is on Dec. 3rd. 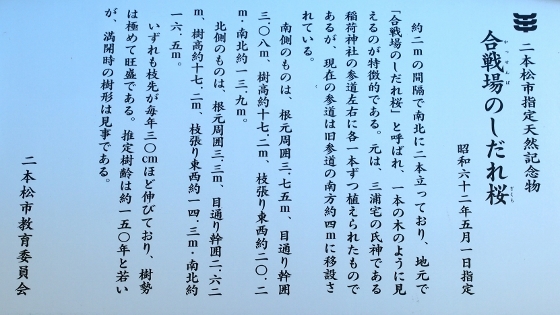 History of Kohata Flag Festival is explained above in Japanese.) 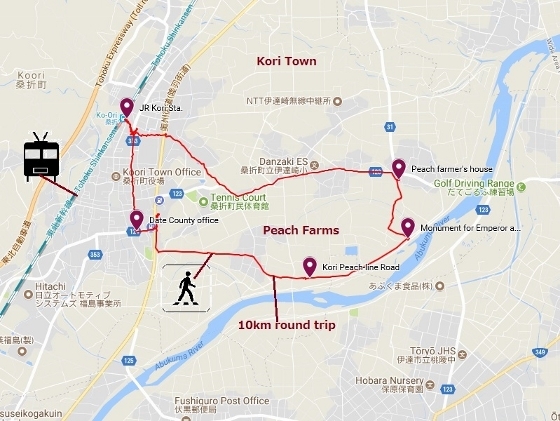 So you can enjoy some of the festivals or cherry blossoms or autumn colors depending on the month you visit here, altogether with having local healthy vegetable lunch or purchasing excellent local specialty food or drink products, while enjoying great countryside atmosphere. 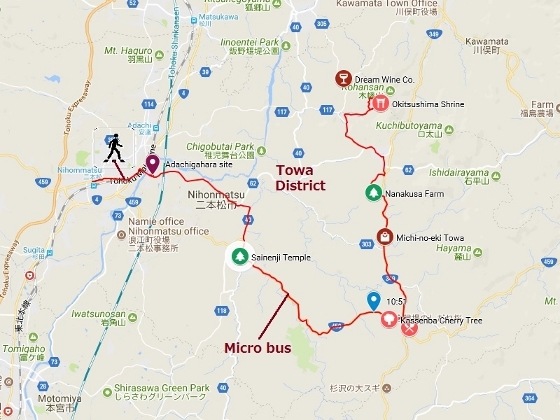 Today, attendees gathered at Adachigahara site, which was about 40-minute walk from JR Nihonmatsu Station, and then a microbus took us through the tour. 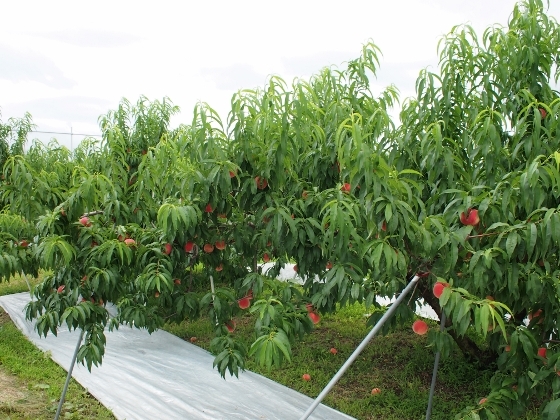 A mistress of local organic Nanakusa Farm, who was also a member of Omotenashi Guide Fukushima and who teaches English to local children, guided us through the tour. 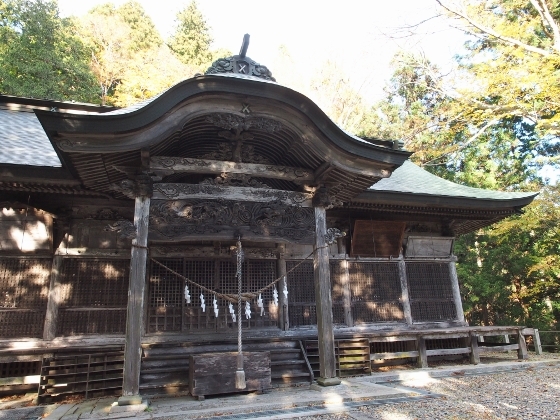 Our first visit was Sainenji Temple, where a natural monument of the city shown above was preserved. 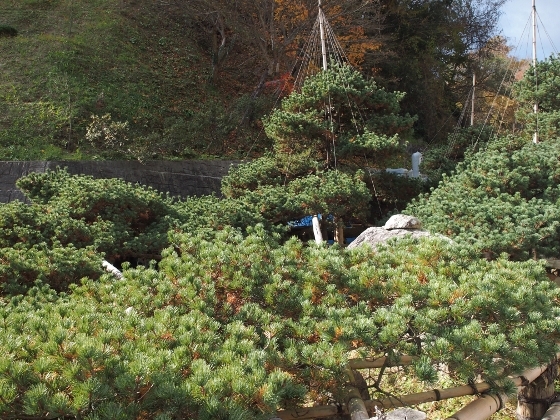 This was called Garyu-no-matsu, which was 400-year-old Japanese white pine. 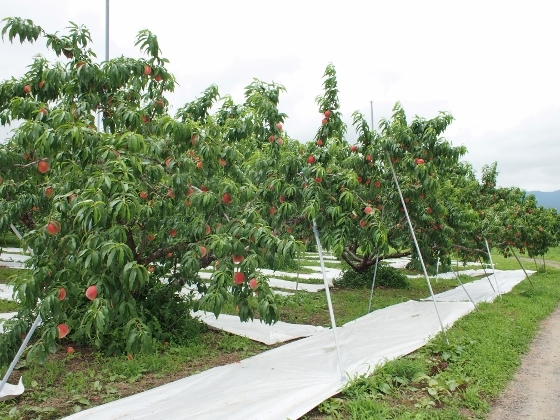 It grew crawling horizontally as far as 14 meters wide. The last visit which was Dream Wine Co. was out of GPS route in the map due to battery outage.